Background. John Pelton and Francis Staves were employed at a sawmill located near Arba Heald’s residence in Door Village, Scipio Township, LaPorte County, Indiana. While employed at the mill, Staves was staying at a “place of bad repute” operated by a man named Palmer. Pelton was reportedly a resident of New Durham Township, also in LaPorte County. In the spring of 1838, Pelton had supposedly built up a considerable debt in the area, and to avoid his creditors he decided to head west. Staves was hired as Pelton’s guide, Staves pledging to provide for Pelton’s safe passage through the wild dunes country while traveling to Chicago. Prior to their departure, Pelton had remarked to Staves that he had $101 [approximately $2,650 in 2015 dollars] and a good horse. Thus began a journey resulting in Pelton’s demise. Discovery. A bundle of clothing tied to a handkerchief was found by an Indian boy in the woodlands near Jesse Morgan’s residence in Westchester Township, Porter County, Indiana. 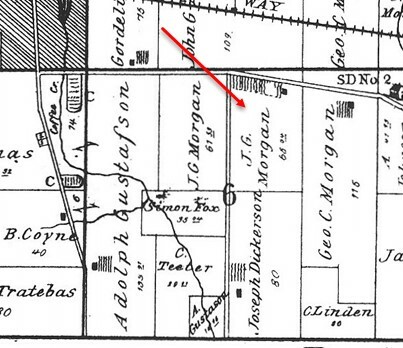 At that time, Jesse Morgan resided at the southeast corner of the intersection of Porter Avenue and 150 East (Dickinson Road) just east of Indiana State Road 49. The Indian boy’s father arrived at the location, and suspecting that something was wrong, began to search the area. The father spotted a boot poking out of a hollow created by an upturned tree. Upon further inspection, the father chanced upon the remains of a dead man, later identified as John Pelton, concealed in the cavity created by the upturned tree and partly hidden by brush. Alarmed, the Indian reported what he found to others at a nearby Indian camp; news of the body’s discovery was then sent to the whites. Section 6 of Westchester Township, Porter County, Indiana. Given the circumstances of the case, suspicion started to fall upon Francis Staves as the murderer of John Pelton. Staves had been tracked to the general location of the murder, the evidence showing that his horse had a split hoof that matched that of the hoof tracks found near Pelton’s body. Staves was also seen at Old Maid’s Tavern, located a few miles northwest of Jesse Morgan’s residence, cleaning his saddle, and then soon after was observed with a new saddle. A knife found in Staves’ possession had a particular nick in the blade that corresponded to scrape marks visible on a hand-hewn wooden club found near Pelton’s remains; the club was used by the killer to bludgeon the man to death. Given the circumstantial evidence, Francis Staves was arrested and arraigned on Saturday, May 12, 1838, for the murder of John Pelton. The Trial. Evidence presented by John H. Bradly, the prosecuting attorney, indicated that Pelton was shot from his horse by a ball that was fired from behind him. After falling from his horse, Pelton was shot once again. The coup de grâce was delivered with a hand-hewn wooden club, Pelton being savagely beaten about his head. Pelton was then relieved of his money by Staves. When questioned, Staves stated that he had left Pelton far beyond the area where Pelton’s body was found. The tracks of the split horse hoof, however, did not venture past the location of where Pelton’s body was concealed in the hollow of the ground. Based on the evidence, Francis Staves was convicted of willfully murdering John Pelton, though Staves continued to maintain his innocence. Court records indicate that Staves was ordered to be confined in the county jail until June 29, 1838, on which date his sentence of death by hanging was to take place between the hours of 10 am and 4 pm. At this time, Porter County had not yet constructed a jail. Hence, Porter County Sheriff Charles G. Merrick transported Staves to LaPorte County, which had the nearest jail facility to confine prisoners. The Execution. On Friday, June 29, 1838, Francis Staves’ death sentence by hanging was carried out in public view. The location of the hanging was in the northwest corner of block 8, lot 2 of the original plat of Valparaiso, directly across Erie Street from present day Central Elementary School; today this area is occupied by a parking lot. Note that in 1838 this particular location was a bit lower than the surrounding area and inhabited with hazel brush and virgin forest. The elevated area surrounding the constructed gallows provided public onlookers convenient seating with an unobstructed view. Francis Staves for the murder of John Pelton. Plat of Valparaiso, Porter County, Indiana. Image Source: Google Maps, 2015. Old Mr. Byee or Bailly, of Baillytown, died about the first winter after we settled here. 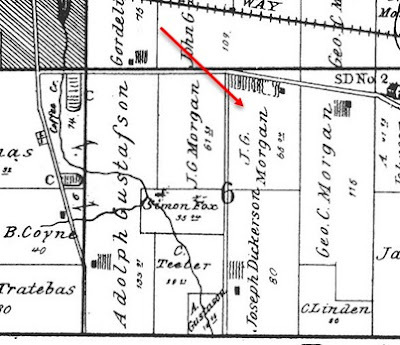 Shortly after, too, occurred the murder of Pelton by Sturns on the Morgan farm. 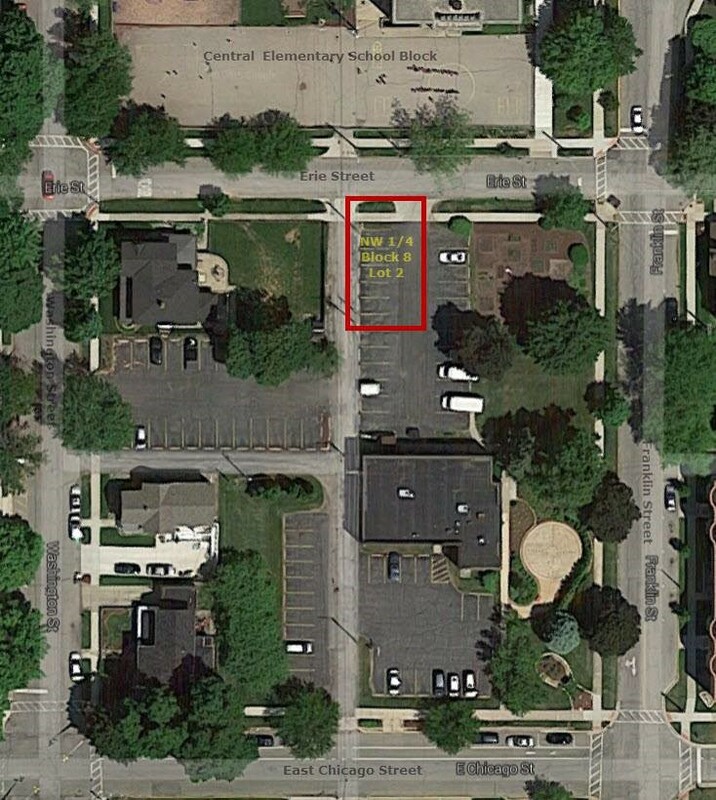 I witnessed the hanging of Sturns, which was in a hollow just south of the city high school, at Valparaiso. Sirs: I have just ascertained the amount of my allowance made by you for my services rendered your county in dieting Staves and other contingent expenses for him. In the first place I will say to you that my bill was reasonable; that 50 cents per day is not a fair allowance for dieting a man three times a day. You must remember that every article of provision was very high and that the 31 cts law was past when all was cheape. It was cold for him to doo without fire and I was compelled to furnish it. Additional claims submitted by Jailer Seif included costs associated with the provision of a physician, a minister, and tobacco, with the total claim being $46, approximately one-third greater than the Porter County commissioners had initially allowed. Other claims paid by the commissioners related to Staves’ hanging included: $149.75 to George Cline for guarding Staves and assisting in Staves’ delivery to the LaPorte jail; $103.50 to Joseph Wyatt for guarding Staves; $17.50 to Chenney and Herr for the construction of the scaffold; $12.50 to P. A. Paine for entertaining the guard; $9.20 to Abraham Hall for boarding Staves and his guard; $7.00 to Jacob Axe for constructing the coffin; $5.17 to John W. Wright for procuring trial witnesses; and $4.00 to Jesse Morgan for burial services. Conclusion. Little is known regarding the genealogy of Francis Staves. John Pelton was born in 1790 in Montgomery, Orange County, New York, the son of Ebenezer Pelton and Purdence (Bogart) Pelton. John married Catherine Hann around 1812 and together they had at least seven children: Charlotte Pelton, Lorenzo Dow Pelton, Frances Pelton, Maria Jane Pelton, Peter H. Pelton, Sophia Pelton, and John B. Pelton. Staves' hanging was not the first legally sanctioned execution to take place in Northwest Indiana. Just fourteen days prior to Stave's execution, on June 15, 1838, David Scott stretched rope at LaPorte. Joshua H. Coplin, age 19 years, had inherited $600 in gold and silver from his grandfather in Virginia in autumn of 1837. When harvests were completed, Coplin traveled by horseback to Virginia to collect his inheritance. David Scott was an employee on the Coplin farm near Rolling Prairie, and he rode east with Coplin as company, stopping in Ohio to visit his mother. Returning from Virginia, Coplin retrieved Scott in Ohio and together they began riding home to Indiana. On February 1, 1838, about one mile from the Coplin homestead, Coplin and Scott stopped at a pond to water their horses. While Coplin was breaking ice, Scott shot him in the back of his head with a pistol killing him instantly. Scott would then cut open Coplin's saddle bag and steal the gold and silver. Scott was eventually tracked down; one of the shoes on his horse left a unique imprint in the snow that made tracking easy. Scott would then be incarcerated at LaPorte, convicted of robbery and murder, and sentenced to death. It has been reported that speculators sold tickets to Scott's execution hoping to profit by offering the best viewing locations. This resulted in the LaPorte County sheriff moving the the site of the hanging. Thirty dollars was offered to anyone willing to cut Scott's body from the gallows after the hanging. The offer was not accepted and the sheriff was resigned to complete the task himself. Similar to Staves in Porter County, Scott was the only legally sanctioned hanging to occur in LaPorte County. Live Staves, Scott's burial location is unknown. Shults-Gay, Deborah H. 1923. One of the Earliest Authentic Histories of Porter county, Indiana, from 1832 to 18763 Publication location unknown: Deborah Shults-Gay. Unpaginated. Skinner, Hubert M. 1878 (January 15). Complete History of Porter County, Indiana. Valparaiso, Indiana: Valparaiso Messenger. The Marshall County Republican, Plymouth, Marshall County, Indiana; March 23, 1876; Volume 20, Number 14, Page 3, Column 1. Column titled "New of the Week." The Chesterton Tribune, Chesterton, Porter County, Indiana; May 2, 1902; Volume 19, Number 4, Page 4, Column 1-2. Column titled "Perry Blake." The Porter County Vidette, Valparaiso, Porter County, Indiana; December 13, 1916; Page 5, Columns 2 and 3. Untitled column written by Mrs. L. F. Bennett. The Chesterton Tribune, Chesterton, Porter County, Indiana; December 21, 1916; Volume 33, Number 40, Page 8, Columns 2-3. Column titled "Porter County's First and Only Hanging" by Helen Mabel Benney. The Vidette-Messenger, Valparaiso, Porter County, Indiana; January 10, 1945; Volume 18, Page 1, Columns 4 and 5. Column titled “City Sees a Hanging” by Mabel Benney. The Vidette-Messenger, Valparaiso, Porter County, Indiana; January 11, 1945; Volume 18, Page 1, Columns 2 and 3. Column titled “City Sees a Hanging” by Mabel Benney. The Vidette-Messenger, Valparaiso, Porter County, Indiana; January 12, 1945; Volume 18, Page 1, Columns 3 and 4. Column titled “City Sees a Hanging” by Mabel Benney. The Vidette-Messenger, Valparaiso, Porter County, Indiana; February 12, 1945; Volume 18, Page 1, Columns 4 and 5 and Page 2, Column 6. Column titled “Records Shed More Light On Public Hanging Here in 1837 of Dunes Slayer” by Englebert Zimmerman. The Vidette-Messenger, Valparaiso, Porter County, Indiana; December 8, 1971; Volume 45, Number 132, Page 4, Columns 3 and 4. Column titled "First Death Penalty" by Ted Erceg. The South Bend Tribune, South Bend, St. Joseph County, Indiana; November 5, 1978; Volume 106, Number 240, Page 47, Columns 3-6. Column titled Museum Attendance Soars," by Eileen Joschko. I believe that the hanging took place in the yards formerly owned by Englebert Zimmerman and his father -in-law John Longshore. My grandfather, Englebert Zimmerman spoke of the hanging taking place in the elm tree shared by the two properties across from Central School. The hanging, of course, predated the building of those two homes and the two men linked by Ada Longshore Zimmerman, my grandmother.